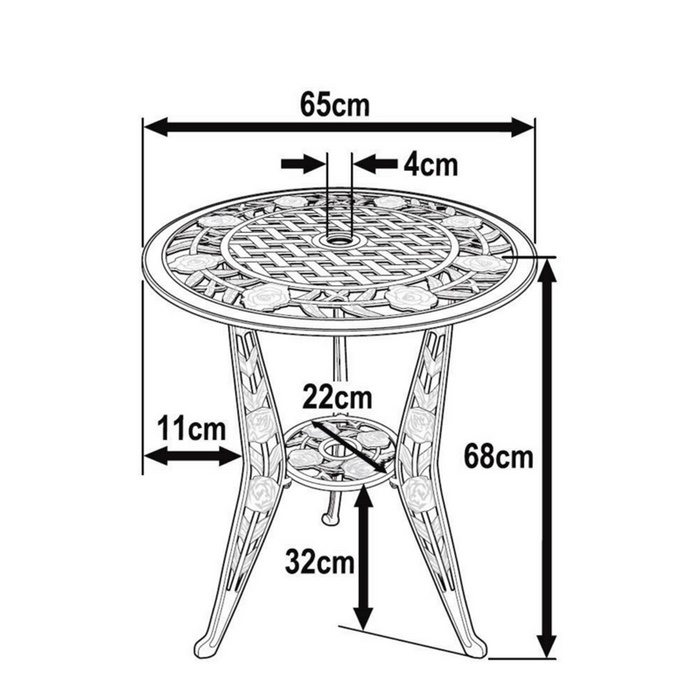 The Rose bistro set is a stylish two-seater table supplied with two bistro chairs. 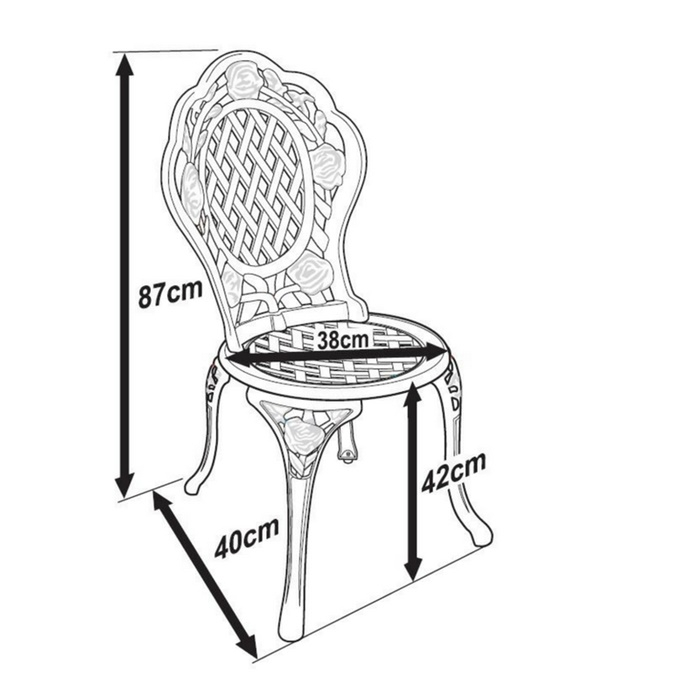 The Rose set is the perfect option for smaller garden spaces, and apartments with balconies. The charming rose pattern featured on the main body of the table makes it the ideal outdoor furniture choice for romantic al fresco dining. Lightweight material (14kg) - easy to lift and handle. The Rose bistro table & 2 bistro chair set in Slate Grey brings a subtle touch of contemporary class to our beautiful, classic-style garden furniture range. 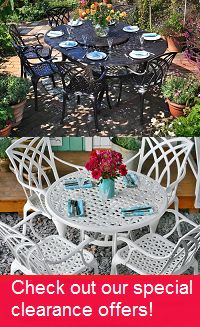 If you're looking to achieve the perfect picture of luxury in your garden, take a look at the Rose in brilliant White or our ever-popular Antique Bronze. We are happy with the ordering and delivery process and like the look of it. It is what we wanted, but unfortunately one of the 3 legs was not perfectly straight. When assembled it is not particularly noticeable but makes the circular piece holding the legs together slightly tilted. Efficient service, fast delivery, good quality products, easy to build and good instructions, this is my second purchase from them, totally satisfied. Easy to order. Quick delivery . Easy to assemble. Superb quality. Looks good. Am very pleased with the 2 chairs and table bistro set. Lovely table and chairs. Arrived in time for hot weather. Would certainly recommend. Quick delivery also. Everything perfect. Will order again.